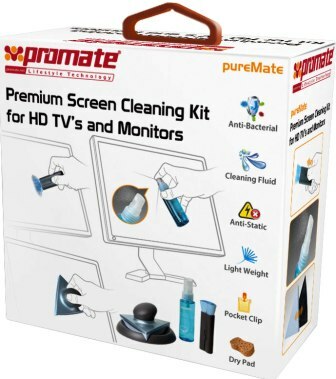 The Promate pureMate is a complete cleaning solution for any HD TV’s, monitors’ or just any big screen devices. It comes with an anti-static brush to remove excess dirt and dust off your big screen device and a cleaning liquid to damp onto it. 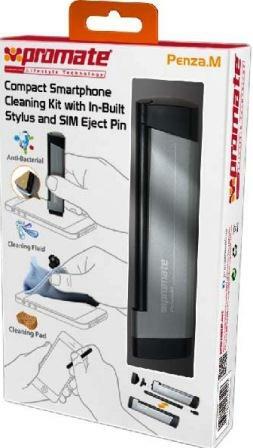 Use its highly absorbent triangular dry pad made for a complete cleaning solution even on the screen edges. 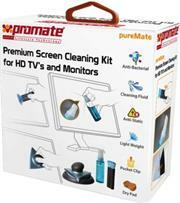 Maintain high efficiency and long life on your big screen devices with constant cleaning habit with the pureMate. 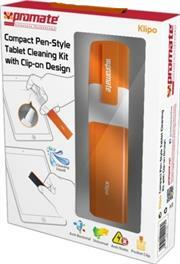 The Promate Klipo is an ergonomically designed portable cleaning kit for tablet devices. This compact cleaning kit fits a liquid solution and a dry pad inside its pen-style hard case. Spray the tablet surface with the liquid solution, and wipe it using its highly absorbent dry pad. Portable enough to bring it along with your tablet and clean it at any time. Provided anti static and anti-bacterial cleaning liquid in Klipo, simply tidies up your device the way you want. The Ellies Professional Laptop and LCD Screen Cleaning Kit is designed for cleaning all types of screens. 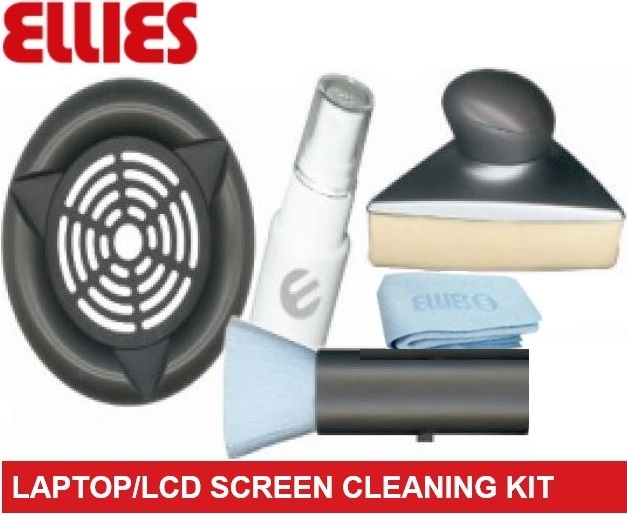 This kit is suitable for cleaning Laptops monitors and television screens, including Plasma, TFT, LCD and CRT. The soft Ultra-Fine Microfiber cloth ensures that your computer or Laptop screens will not be scratched during cleaning, With the antistatic brush, the Strong Cleaning Solution spray and the triangular Cleaner makes cleaning your screens not only more thorough, but also very easy. and the ergonomic design gives you a firm safe grip. • The DVIVGAMF DVI-I to VGA Display Adapter (M/F) is used to convert a DVI Male connector to a VGA female connector. • The DVI to VGA adapter is constructed of high quality materials to ensure dependability. • This product is intended for connections between DVI-I and VGA devices. • If your device uses a DVI-D connector, please refer to StarTech.com's DVI to VGA Converter DVI2VGACON.